The majority of Central Kurd people migrated to the United States from Iraq and Iran. Other minority population migrated from Syria and Turkey. The Nashville metro area, known as 'Little Kurdistan' by many of its Kurdish residents, is home to largest concentration of Central Kurdish people. Kurdish people do not share a common language. The Kurdish language is officially recognized in the Iraqi constitution alongside Arabic. Kurdi or Sorani emerged as the literary expression of Kurdish language and is recognized in Iraq as the official written form of Kurdish. Within the Kurdish language there are four dialect groups; Northern Kurdish (the largest group), Central Kurdish (Sorani), Kurmanji, Laki (Southern Kurdish). The existing linguistic divisions within the Kurdish language make it difficult to generalize about what languages are being spoken by Kurds in the United States. The majority of Central Kurd people adhere to Islam with smaller minority Central Kurd people being Atheist, Zoroastrianist or Agnostic. Pray Christian will intentionally frequent places that Central Kurdish people hangout in order to build evangelistic bridges. 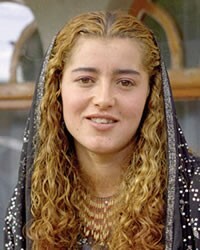 Pray God will stir the hearts and minds of Central Kurdish people to seek for truth found in Jesus Christ.